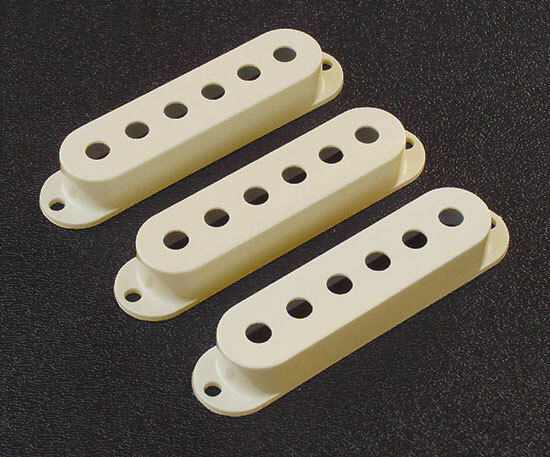 Genuine Fender® Stratocaster® Aged White Pickup Covers. Set of 3 Covers. These pickup covers will not fit any of the noiseless pickups. Purchase the full accessory kit to get these accessories.